It's time to plan for November and we have some great things planned. We'd love to have you be apart of them too! Are you interested in sponsoring us? Well, we'd love it if you would and to say thank you we want to offer you a special discount. 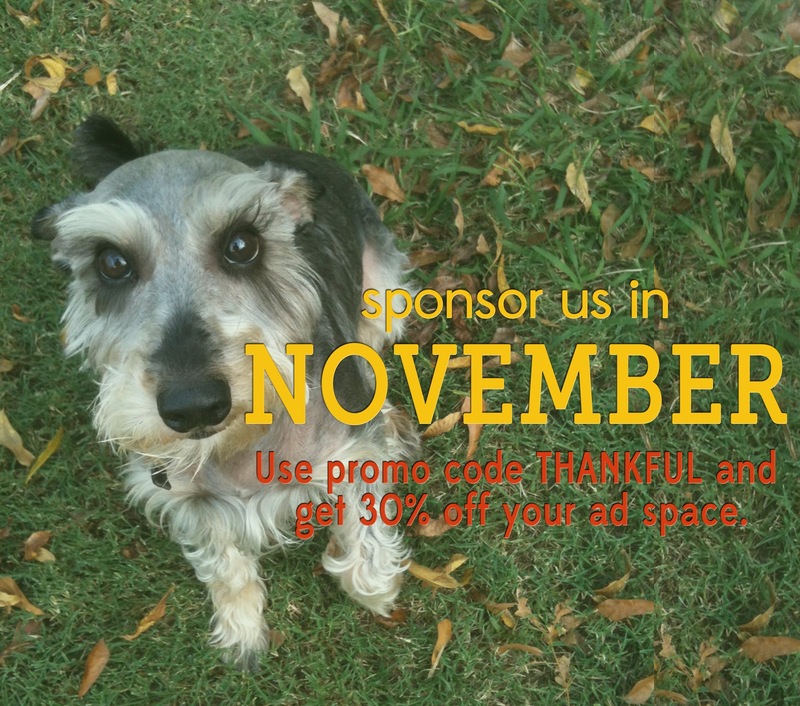 Just use the promo code THANKFUL at check out and receive 30% off your ad purchase. We look forward to the endless possibilities of partnering with you. Oh, and here's a link to our sponsor page. Awesome! I'll check that out. Thank you. I love him. He's been so sick, but he's on the mend and making up for lost time.